When it comes to moving home overseas one of the most time consuming activity is the process of packing of all your personal belongings and furniture. The international packing needs to be done properly, comply with international rules and standards. Actually there are a few good reasons why you should pack your possessions with a great care. - if you pack your goods yourself, make an inventory and attach it to each box. This will increase the chances that your cargo will go through the AQIS inspection without any problems. Please see below more reasons why you should use a professional shipping to Australia company to pack you household goods ! 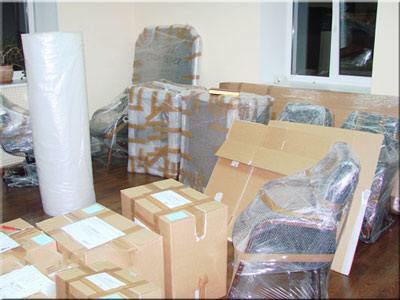 A lot of experience and knowledge is required to properly pack and wrap all your furniture, mirrors, glasses, ornaments, painting and other fragile items so that they do not get damaged during the transport to Australia. We care about your goods as they were ours. That’s why we pay a lot of attention to our international packing services. We ensure that our packers are professionally trained and know how prepare and pack your belongings for any house move. It may sound a bit scary and expensive but it is not. A good international packing can save you a lot of money on replacing broken and damaged items like vintage coffee tables, antique chairs, wall paintings, china porcelain etc.. 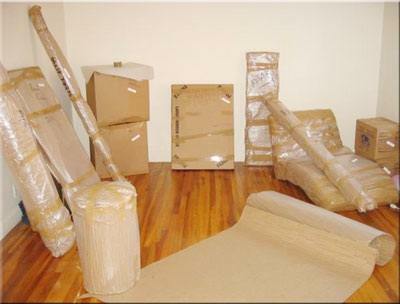 If you still are not sure whether you can afford the packing by movers or not, there is nothing wrong in checking what’s the cost of wrapping, packing and moving boxes. 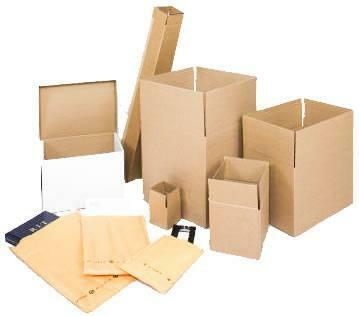 We can provide a separate price for the packing service so you can decide later whether you want to take it or not. When shipping goods with us you get one of the best services on the UK market. To give you extra piece of mind we will include an insurance option, just in case a disaster happens. See also how to pack and ship musical instruments. Each member of our packing crew has gone through a specially designed expert overseas packing training. To make your things safer we use different boxes for different items. For example all books, papers, documents and archives are packed in book boxes which are stronger and can carry more weight than for example clothes boxes. There are many type of boxes we use: wardrobe boxes for moving clothes, dresses and suits, TV boxes for packing computers, TV’s, painting boxes for canvas art and images, and many, many more other packaging! Our international moving company has always been up-to-date with the latest international packing solutions. We use the best export wrapping and packing materials: bubble bags, packing foams, glass sponges, rubber corner protectors, polystyrene dividers and many more. For motorcycles, paintings, sculptures and fragile things we build custom wooden crates. The packing methods we apply are of the higher international freight standards. The solutions we offer are simply outstanding and can’t be replaced by any, even the most sophisticated, self packing methods. When leaving your house and immigrating to Australia from the UK you can't forget about your current house. During the move your property is open to different damages. We will take car of it too by protecting the floor, doors, walls and the staircase. When you leave your house it will be cleaned and ready for sale. 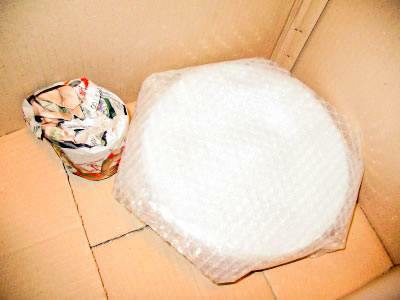 A significant number of our clients do not know how to pack and protect their most precious and delicate things. Shipping art has its own rules. You need to take car of the moisture, temperature changes and apply some solutions to absorb all shocks, bangs and hits that may occur. If you decide to pack yourself we encourage you to use our international packing service at least for your most expensive and fragile possessions. For the clients that want to be 100% sure we offer crating service combined with special cushioning methods including bubble wrap, carding, edge and corner protectors, straps and air cushions. How to pack kitchen items for shipping? Single items or a group of a few boxes and furniture can be individually crated. We will estimate the size of your load and our friendly carpenter will design and build a wooden crate just for your goods. The wooden crate is the most secure international packing solution for shipping furniture. Your items are put inside of the tailor-made crate and the empty space is filled with papers, foam and rubber balls so they aren't loose. The crate is loaded and strapped in the shipping container to Australia. Packing all of your domestic furniture and personal items that you have accumulated over the past years will be the most time consuming and difficult part of preparing and organizing your move to Australia. It is also a good time to get rid of many items that are of no use to you and to your family. There is no point in taking broken goods and furniture to your new home and pay for it. How to pack and load sea container?